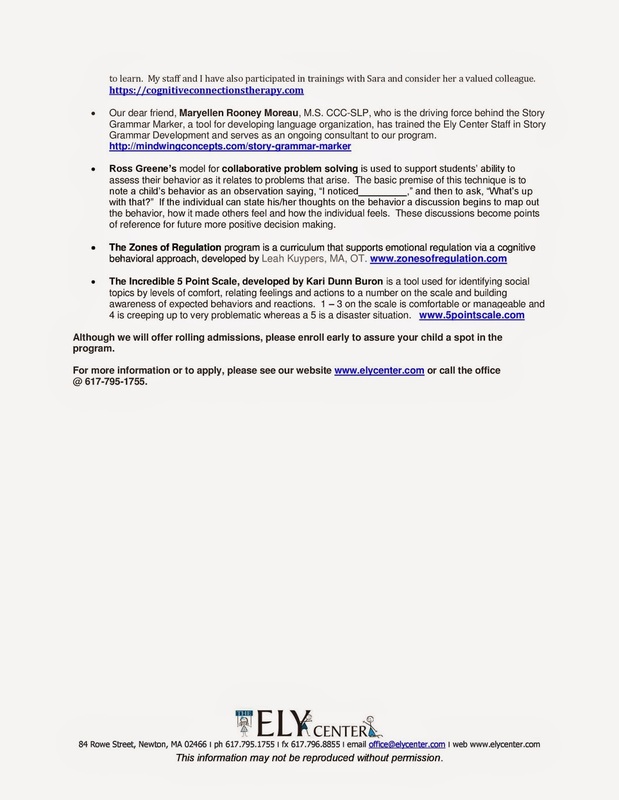 NESCA News & Notes: The Ely Center's Social Skills Summer Camps Registration Now Open! 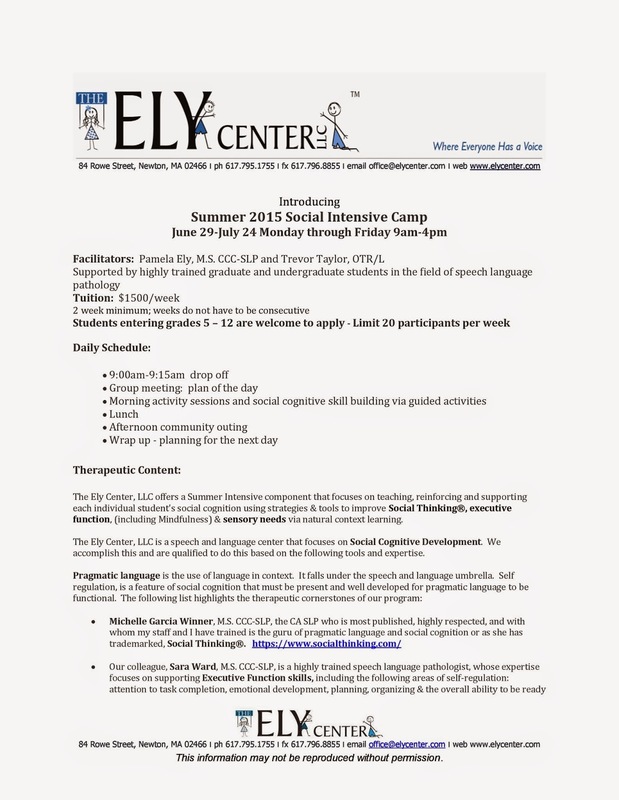 The Ely Center's Social Skills Summer Camps Registration Now Open! The Ely Center, at 84 Rowe Street in Auburndale, is once again offering a full slate of social skills and social cognition summer camp options for students of varying ages. These excellent programs offer flexible scheduling and fill quickly. Registration has just opened. For additional information and to register, please call (617) 795-1755 or email office@elycenter.com.